Separate dough from both cans into 10 rolls. Cut each into 8 pieces; place in ungreased 13x9-inch (3-quart) glass or ceramic baking dish. 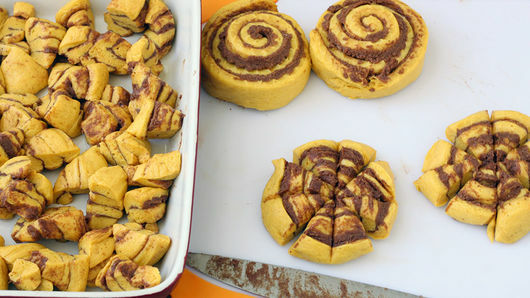 In medium bowl, beat eggs, pumpkin, brown sugar, cinnamon and milk with whisk until well blended. Pour evenly over cut rolls in dish. 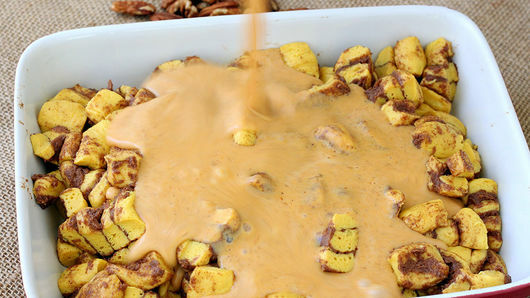 Sprinkle pecans over top. Bake uncovered 30 minutes. After 30 minutes, cover baking dish with foil. Bake covered 10 minutes longer or until top is browned. Remove from oven to cooling rack. Uncover; cool slightly, about 10 minutes. Pour icing evenly over top. 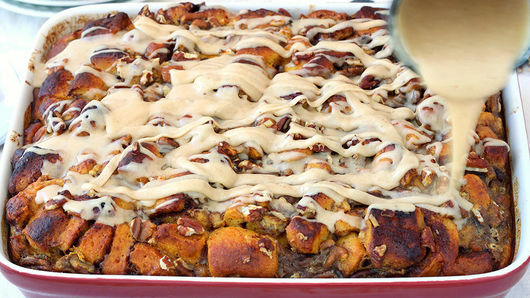 Make this pumpkin breakfast bake year-round using 10 refrigerated cinnamon rolls. 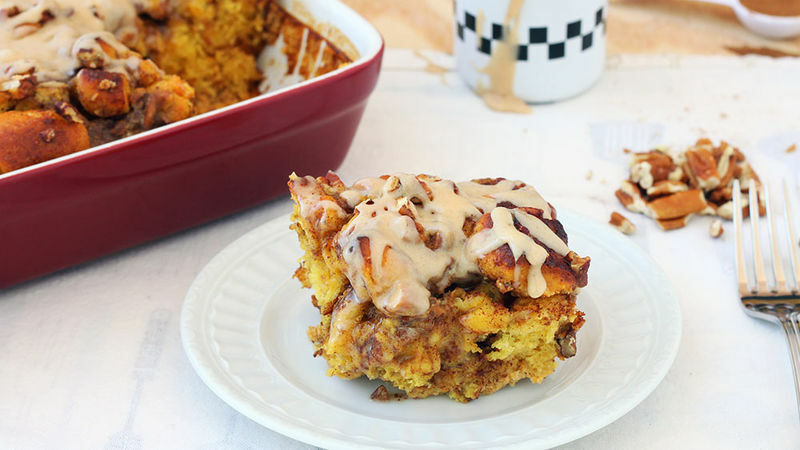 For a stronger pumpkin flavor, use 1/2 cup pumpkin butter instead of the canned plain pumpkin and 1 teaspoon pumpkin pie spice instead of the cinnamon.